Sometimes you might want to skip a number of results from the returned. 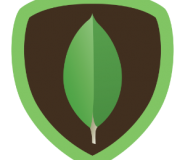 Use Skip() method to control where MongoDB begins returning results If there are fewer than three documents in your collection, it will not return any documents. The following example will skip the first 2 documents and return the third document only. Note: Using skip for a small number of documents is fine. For a large number of results, skip can be slow, since it has to find and then discard all the skipped results.